It’s fair to say that winter is coming. Leaves are falling and changing colour, everything has pumpkin spice and the days will get shorter. Colder weather means it’s time to throw on the winter tires for another season. The Tire and Rubber Association of Canada (TRAC) recently conducted a survey and found that nearly seven in ten Canadians install winter tires every year. The survey found that 65% of Ontario drivers now use winter tires compared to 56% from just two years earlier. The 32% of drivers without winter tires claimed their current tires worked fine in the snow, or some people surveyed said they couldn’t afford the cost. It’s fair to assume that Ontario’s mandatory auto insurance premium discount has helped increase winter tire usage. Let’s face it, driving in slush, snow, and ice is not a fun experience for anyone. Even the best driver can quickly lose control of their vehicle or spin out during the winter months. Snow tires work because they have been designed to operate in cold weather. Like many things, you can save money by purchasing winter tires in the spring and summer. Most winter tire shops get busy once the cold started and you might have a hard time booking an appointment. Tires are like most other things, if you purchase winter tires outside of the peak season, you’ll generally save some cash. We know that unpredictable snowfall is a part of living in the Kingston, ON region. The weather can be hard to predict, but we do know that tire installation appointments in Kingston book up after the first snowfall, or when temperatures drop for the first time. Beat the rush and have your winter tires installed ahead of time. It’s better to spend a couple of weeks driving in good weather than to be skidding around in a snowstorm. Always ask your Kingston tire retailer for their tire recommendations for your vehicle. Okay, we know what you’re not going to buy truck winter tires for your Nissan MICRA, but you’ll want to ask your service advisor which tire works best for your vehicle and driving habits. An experienced service repair centre will be able to provide you with the information and feedback you need to drive safe this winter. If you primarily drive in the city you won’t really need a super powerful snow tire, you’ll probably want something that allows you to better stop and start on unplowed or icy streets. A more aggressive tire trend would be helpful if you plan on driving on rougher roads. 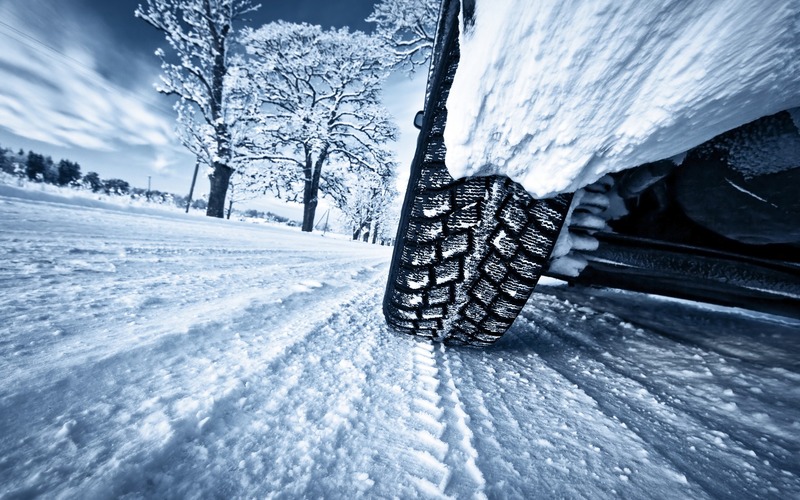 The depth of tread on your winter tires is another important factor to consider. Check with your mechanic or service advisor and ask how long your tire tread is expected to last. Winter is coming so it’s best to be prepared. You really don’t want to be stuck sliding around on the roads after the first storm. Remember, don’t be afraid to ask questions and do your research. Buying winter tires is a big investment and you’ll want to ensure you are purchasing tires that work for you. Take into account your vehicle, driving habits and location when winter tire shopping. At CarOne we service and perform maintenance on all makes and models. We have some of Kingston, ON’s best prices on winter tires and we have a great selection to suit any need or budget. Want to learn more? Stop by our Gardiners Road service centre, book an appointment online, or give us a call at 613.542.2223.